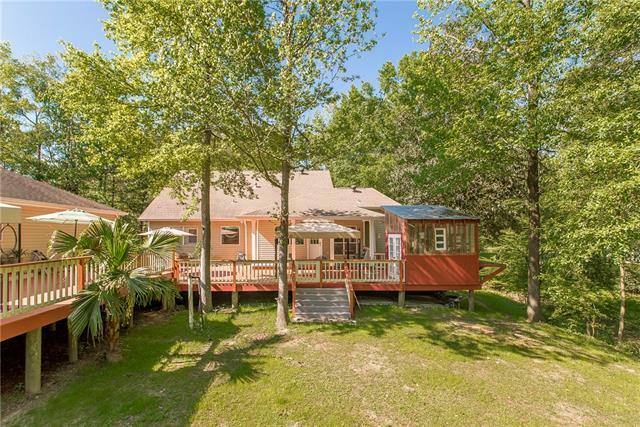 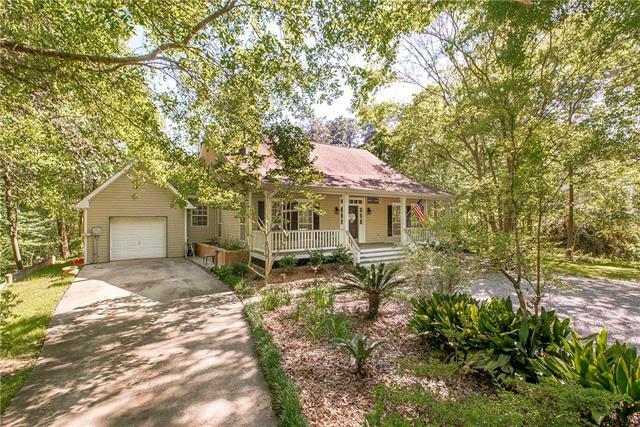 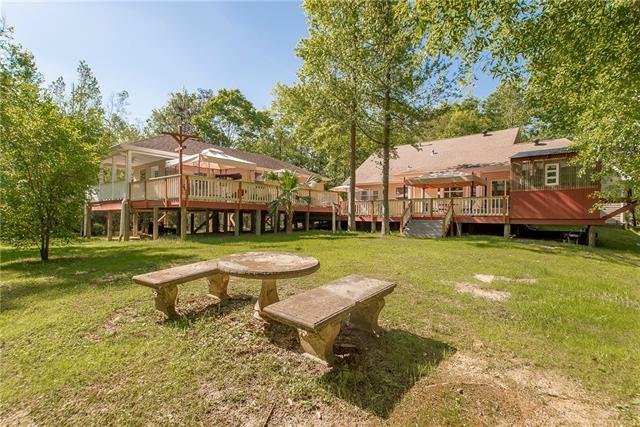 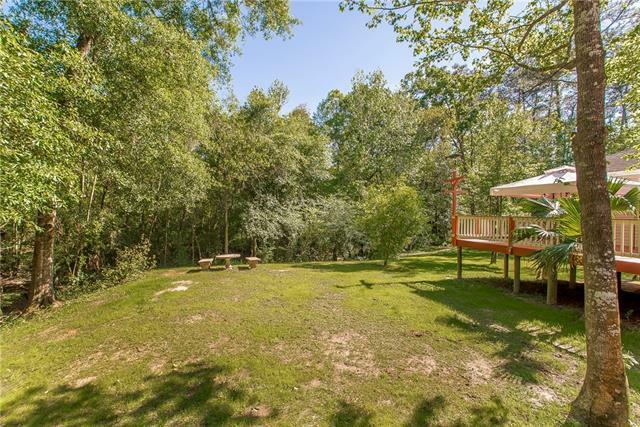 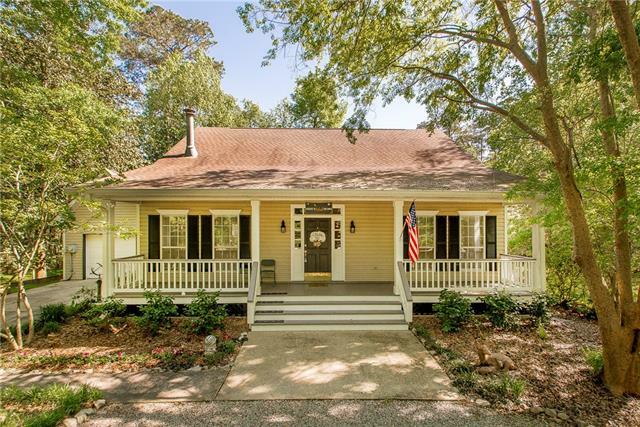 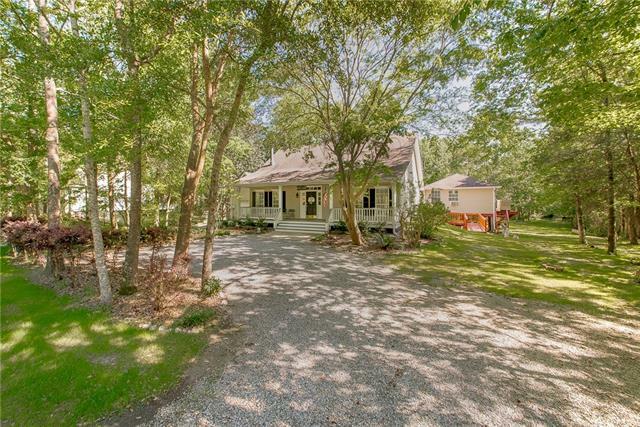 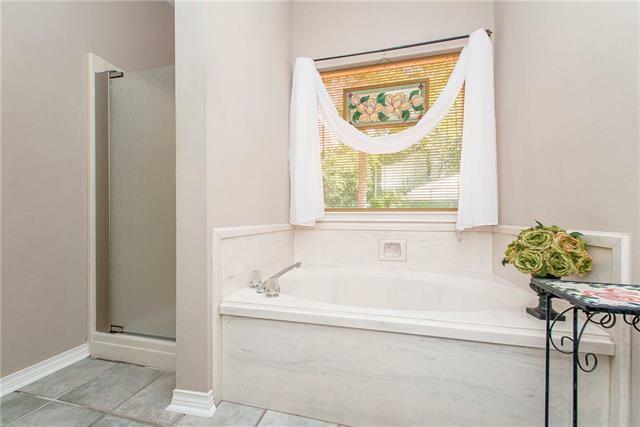 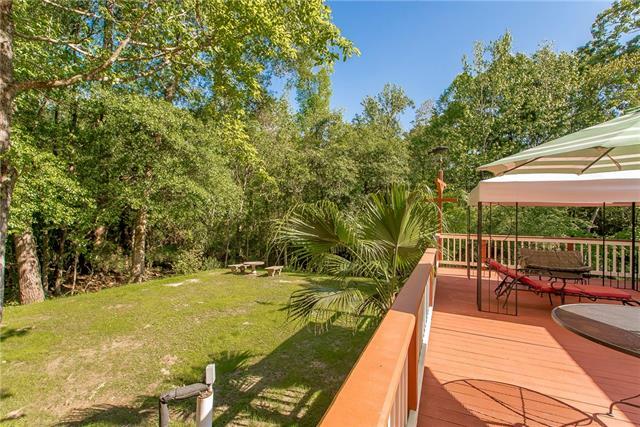 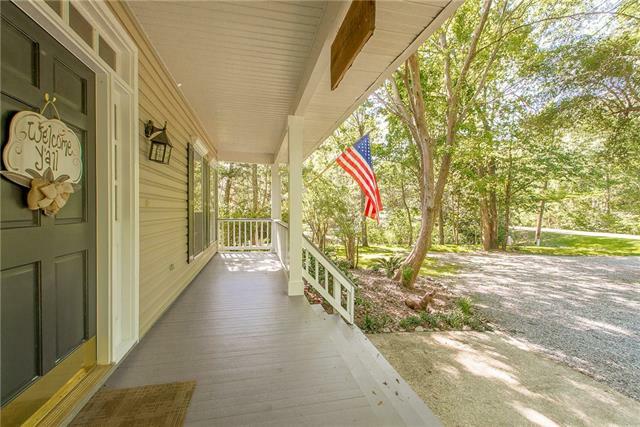 Relax in this Beautiful Acadian home with private Guesthouse, on 1.43 Acres secluded in a nature setting backing up to Abita River. 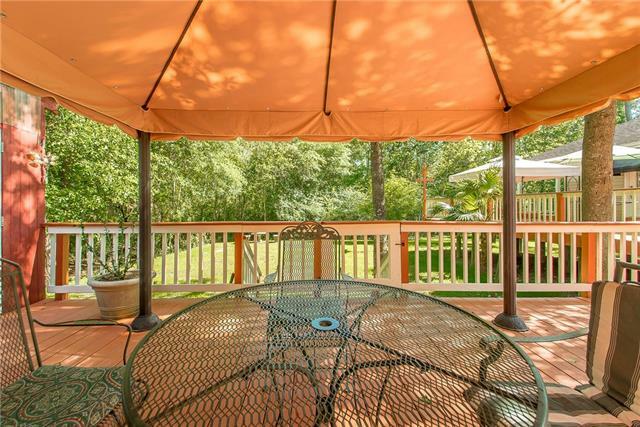 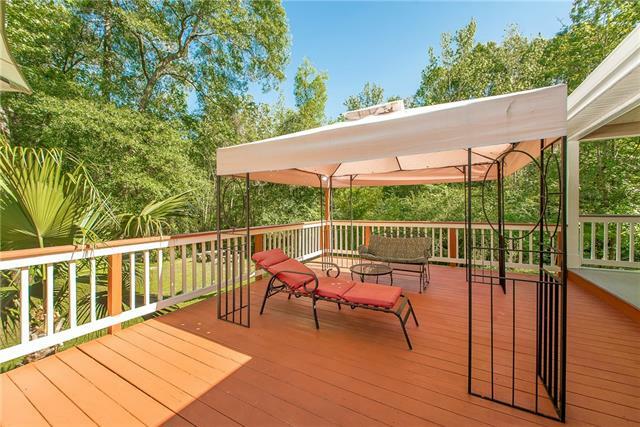 Backyard has 953 SF wood decking with all patio furniture, canopy's, potted plants included in sale. 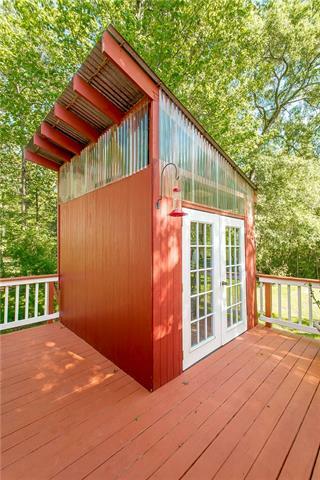 Greenhouse/potting shed, 35KW Generator to power home & guest house. 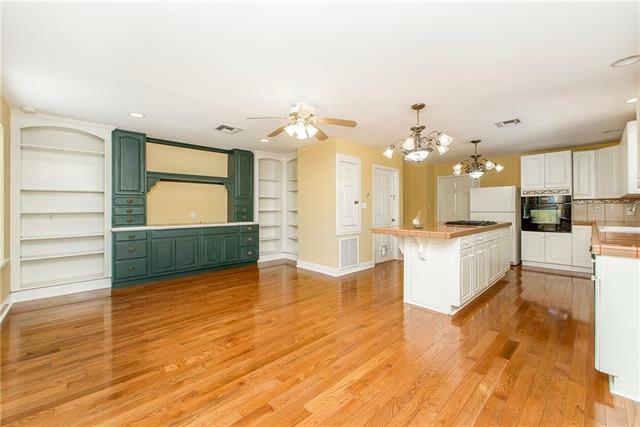 3 refrigerators, 60 " Wall TV, & Freezer to remain. 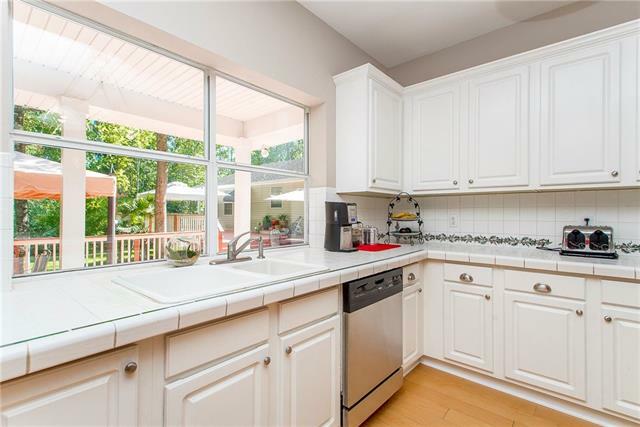 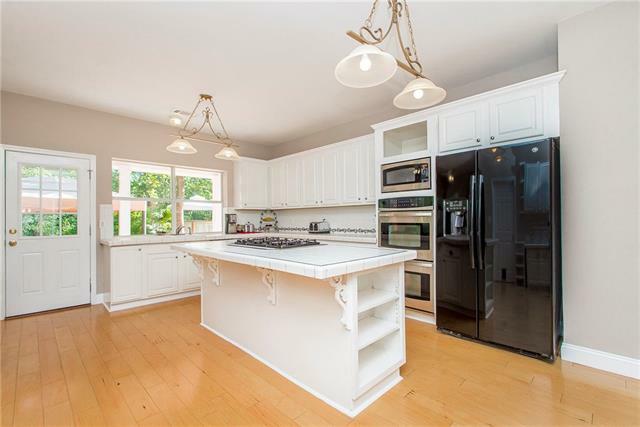 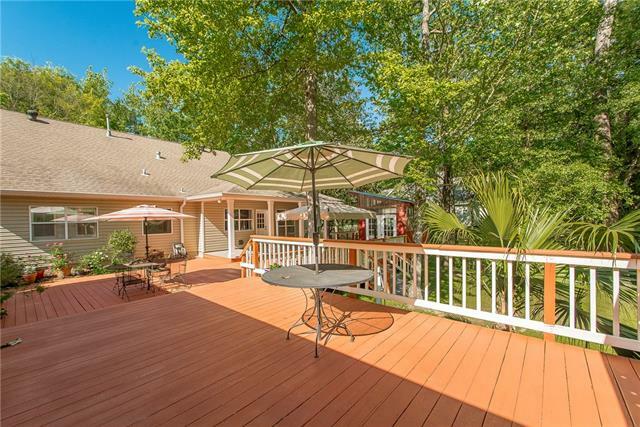 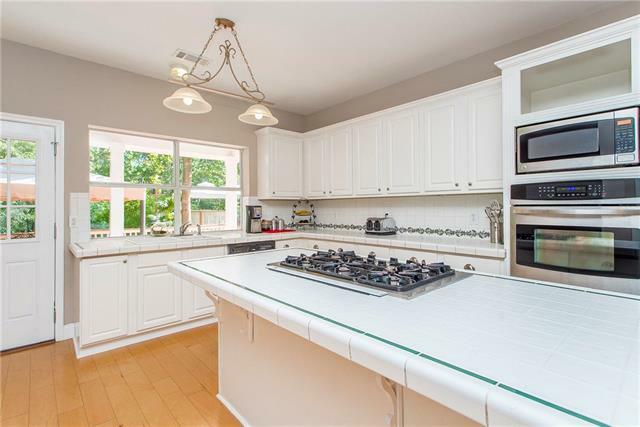 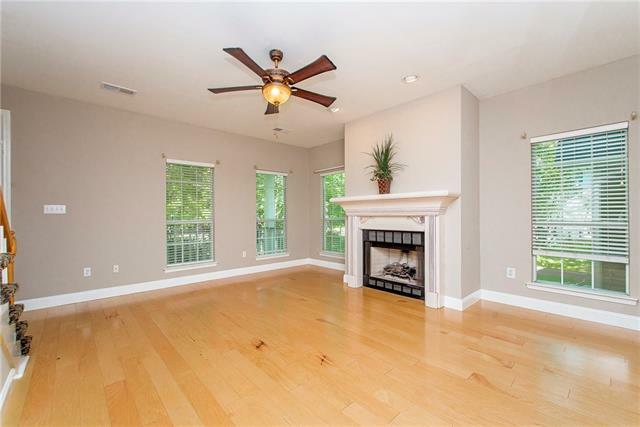 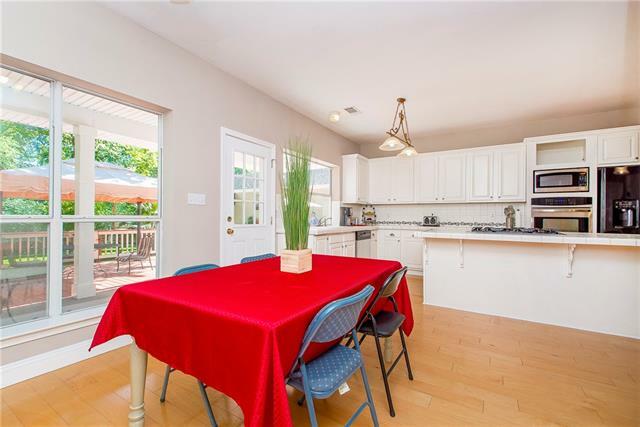 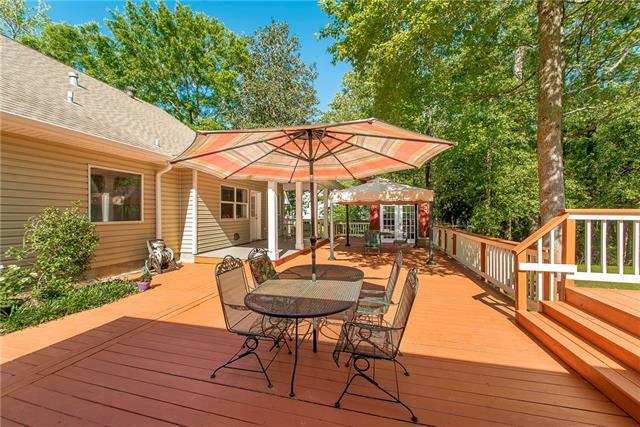 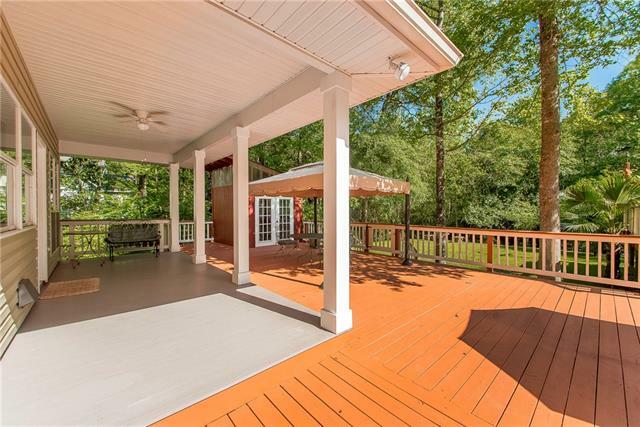 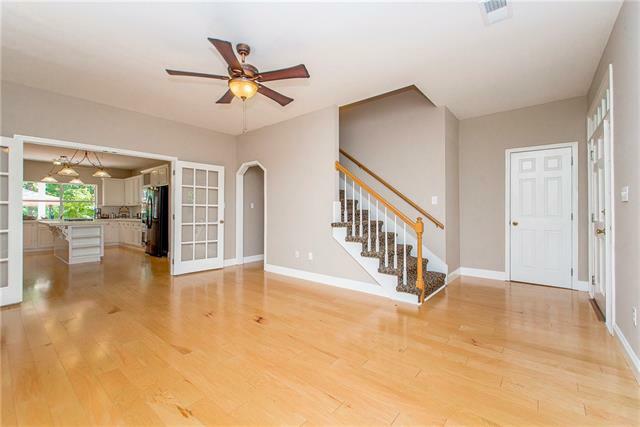 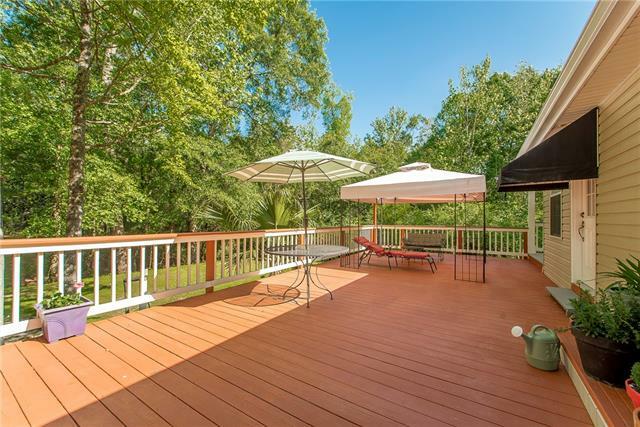 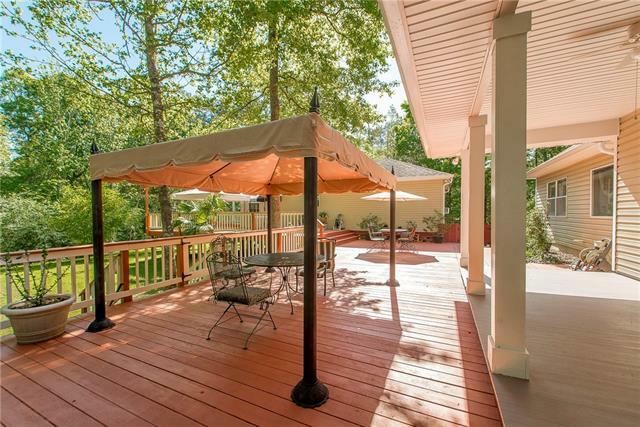 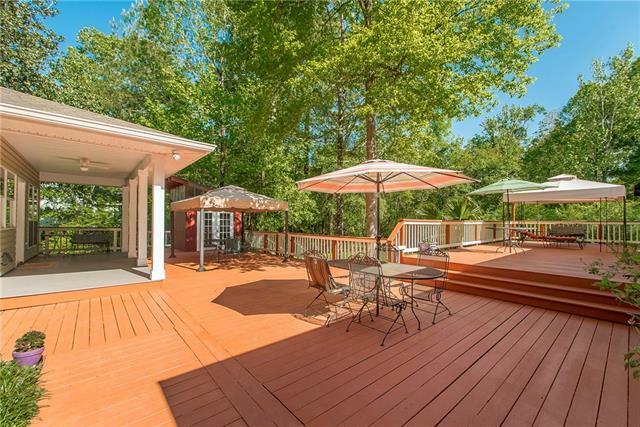 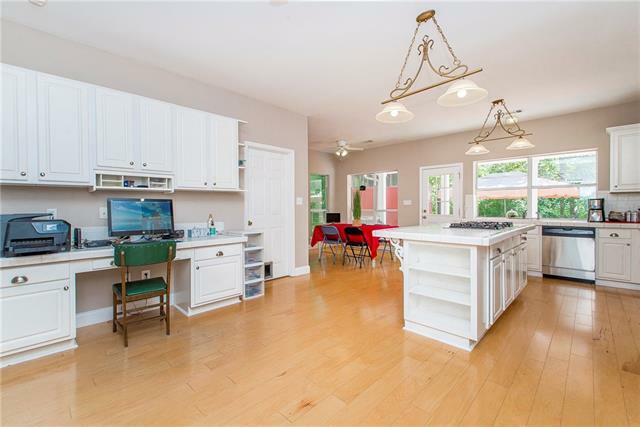 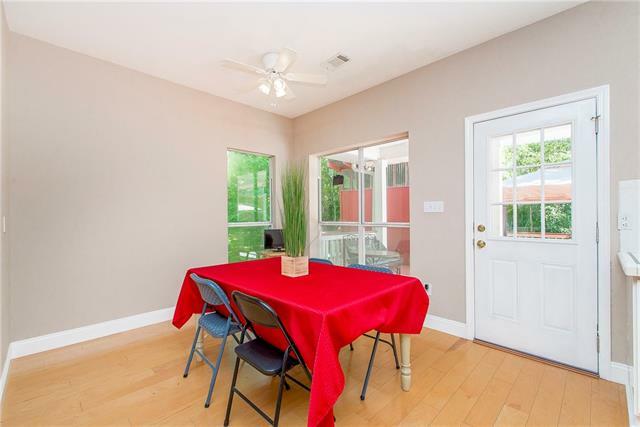 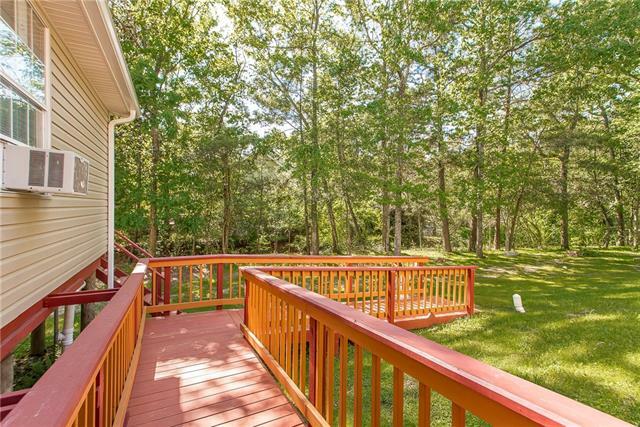 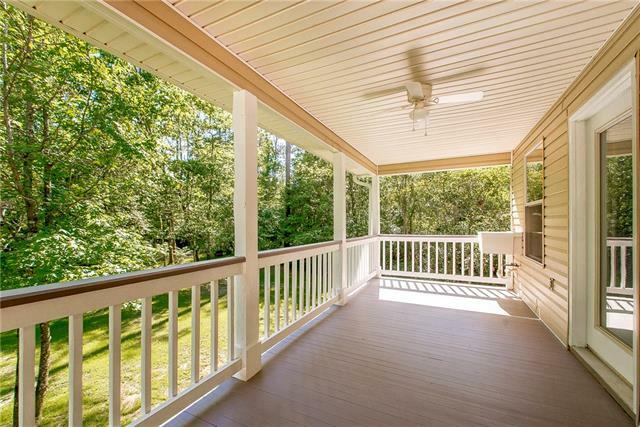 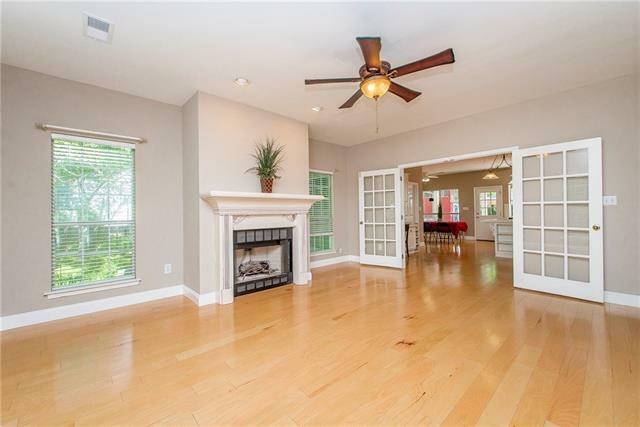 Lovely 826 SF Guest home with wood deck, private balcony & ramp leading up to patio/deck area. 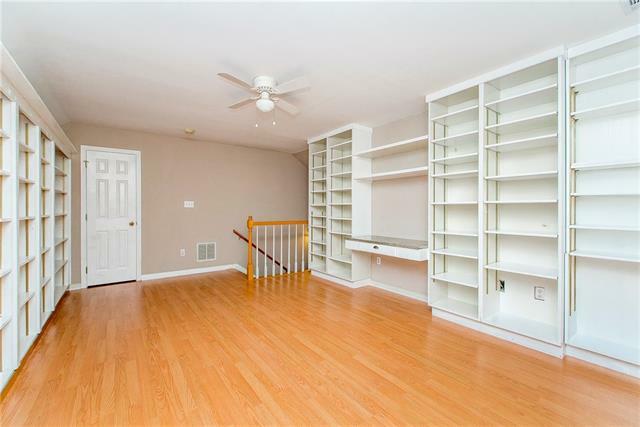 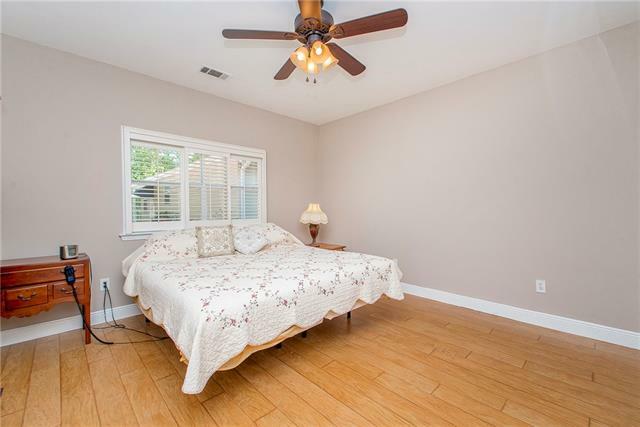 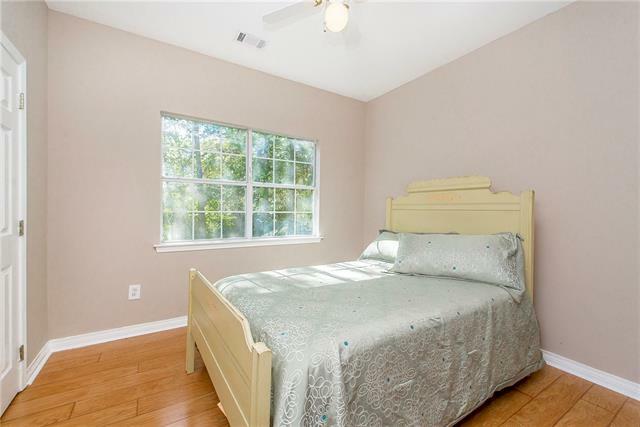 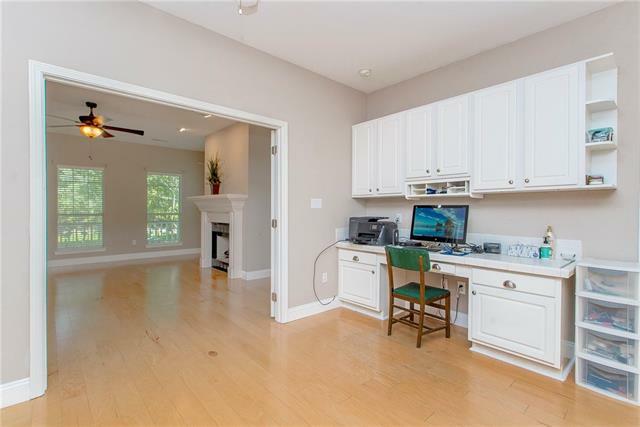 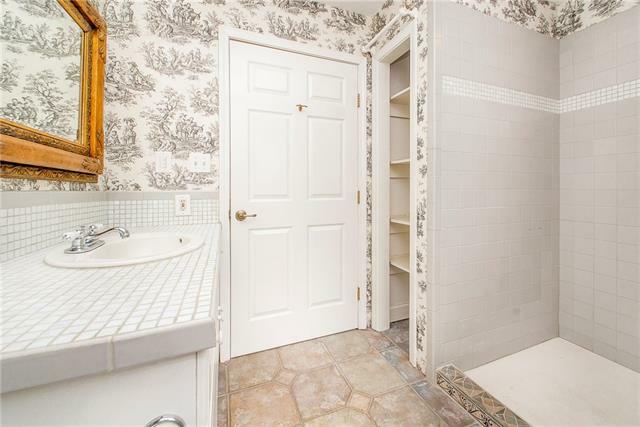 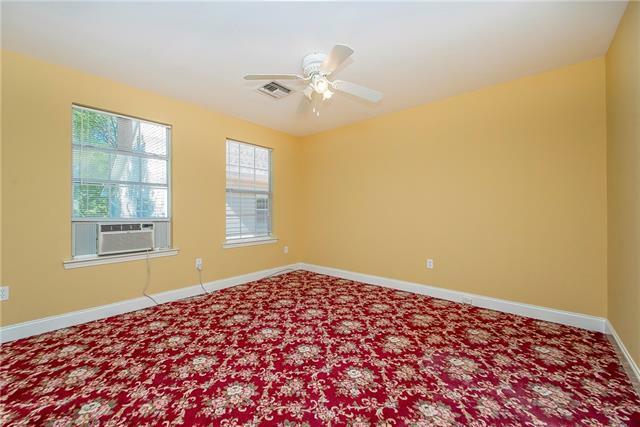 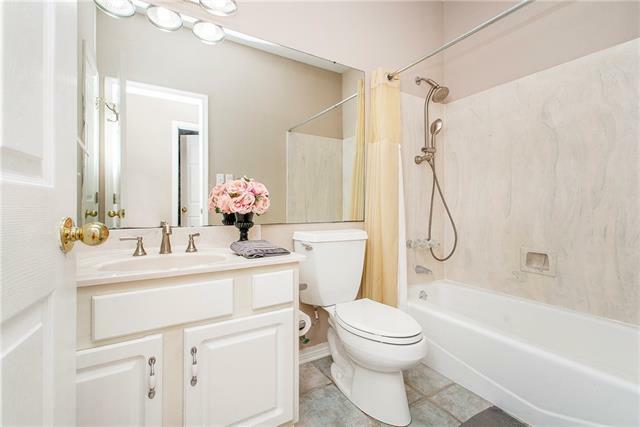 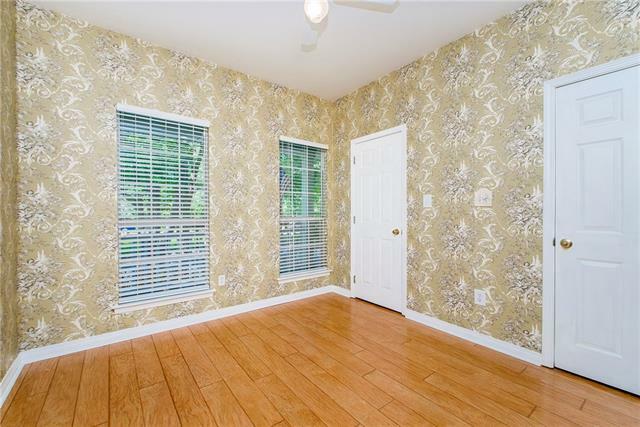 Make 2nd floor bonus Rm or 4th BDRM/Office. 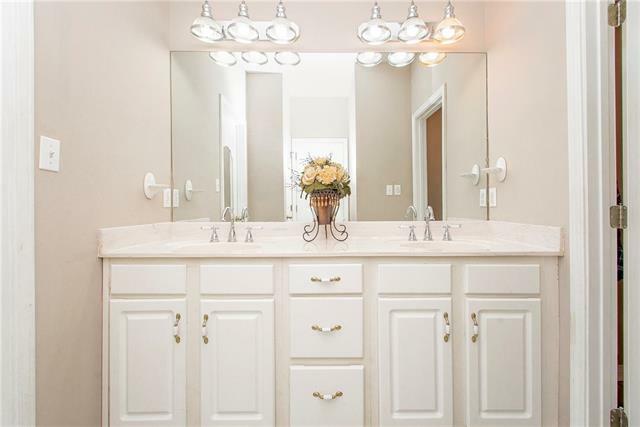 Amenities galore!! 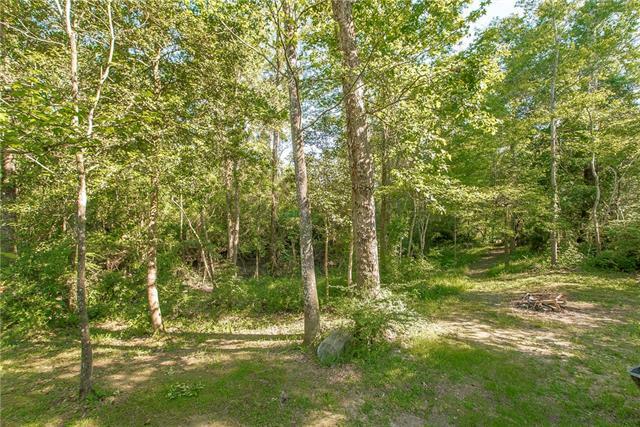 Directions From 190 north turn on Sunshine Ave., left on North St. down to Parc Wood Dr. E around bend to River Parc Dr. S, House on left.